The facility at Philadelphia, Illinois has LeRoy Anderson as Assistant Manager. Since LeRoy's retirement, the facility will be open on a limited basis. During harvest, it will be staffed full time. 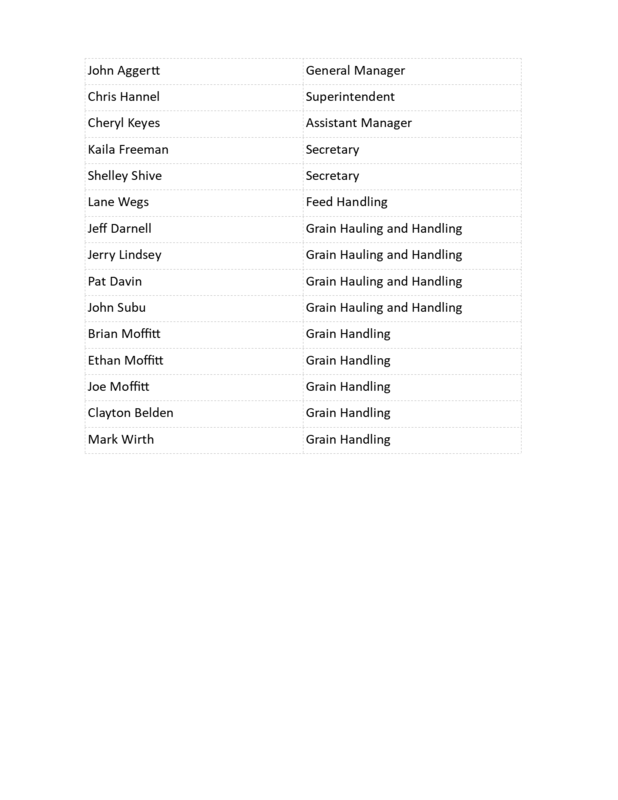 We will still be able to assist you with any and all of your grain and feed needs. This facility stores corn, soybeans and specialty grains. Also, arrangements can be made through this facility to have your grain picked up on the farm. A limited supply of complete bagged Kent feeds for your livestock and pets are kept on hand. If the feed you need is not on hand, they can order it and usually have it the next day. Feed delivery is also available upon request. If we can help you with your grain, feed or seed needs, please call 476-3516 or 800-255-8659. The facility at Strawns Crossing stores corn, soybeans, and wheat. Major expansions are being made at that facility. We have personel there full time during harvest and upon request during the rest of the year. If you are intested in learning more about our Strawns Crossing facility, please call the main office in Prentice at 1-800-255-8659 or 217-476-3516.